How do I Bind a Calendar? Making your own calendars is easy with our step-by-step guides that walk you through the process. Now you can make beautiful calendars of many kinds faster and cheaper than outsourcing. Whether you are making calendars for your company employees, for family as a DIY gift, or small-runs that you sell at your business, these DIY calendar tutorials will give you access all the resources you need. First, choose a calendar style below. • DIY Wire-O Calendars 3 Ways - Do you want to make a wire calendar? Wire calendars can flip all the way around on themselves so the pages lay back-to-back, and can be made in 3 different ways...a hanging hole calendar, a calendar with a hanging hook, and an easel calendar to stand up on your desk. Wire calendars have the most professional-looking finish, and when paired with a vibrant photograph, can really stand out. • Spiral Coil Calendars - Want to make a coil calendar instead? Spiral coil calendars can flip all the way around (just like wire calendars) so that the pages will lay back-to-back. 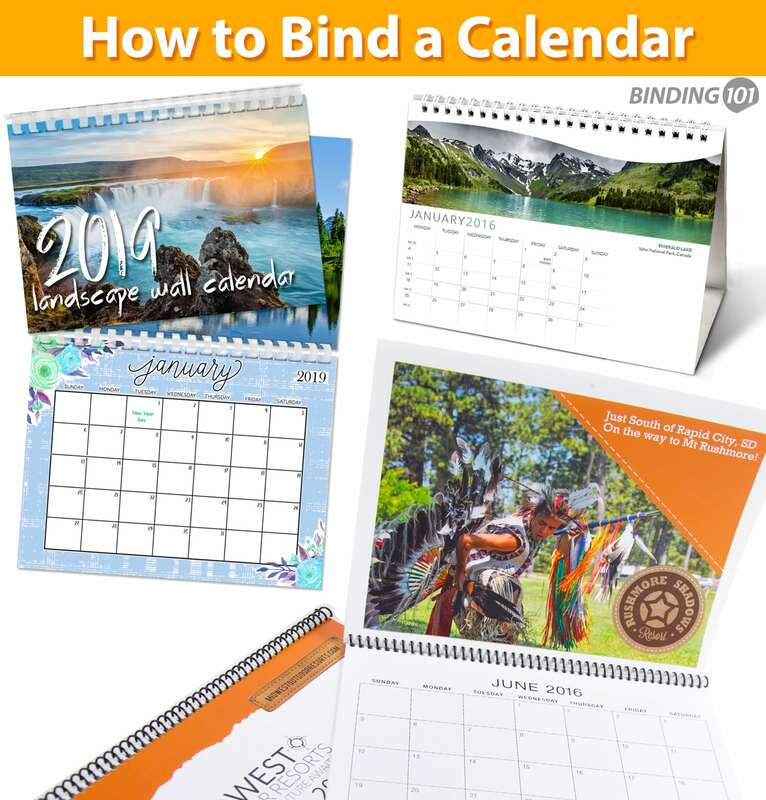 They are typically not used for hanging calendars because the coil itself is a bit bulky and will press your pages away from the wall a bit; more commonly, they are used as desktop calendars or planners. The plastic is incredibly durable and flexible, so a monthly or even daily calendar is a great application, since they will stand the test of time. • GBC Plastic Comb Calendars - If wire and coil are not for you, consider a plastic comb calendar instead. GBC comb calendars can hang on the wall portrait-style but cannot flip all the way around (i.e. the pages won't lay back-to-back like with a coil or wire option). The major benefit with a comb bind calendar is how inexpensive they are...they are the most affordable option.